MDC-T leader Morgan Tsvangirai has called a press conference for 1530hrs today. Tsvangirai: "There&#39;s a trust deficit; that&#39;s one of the critical elements with Zanu pf, they have to earn our trust"
Tsvangirai, who has suffered much under Mugabe, is asked whether he gets any pleasure from what Mugabe is facing. "To me it was never a personal issue. If i were to meet him today there may not be that political animosity." Tsvangirai is asked about amnesty for Mugabe and Grace. "I am not in a position to discuss that, ask the military"
"In the formation of the MDC... To me it was never personal. It was never a personal issue. I disagreed in the manner he [Mugabe] managed elections, I disagreed in the manner he conducted government business," says Tsvangirai. We have a national crisis, and as leadership, we must confront this, says Tsvangirai. He says there's a need for an inclusive transitional mechanism and agreed upon by all parties involved. Tsvangirai says he agrees with the military that this has not been a coup. But he says the conditions will tell for themselves. "As a democrat, I always believe in the rule of law...the international community is watching"
Tsvangirai mentions his respect for war veterans and their sacrifices in the liberation struggle. An effort by the opposition leader to get on the Generals&#39; good side. 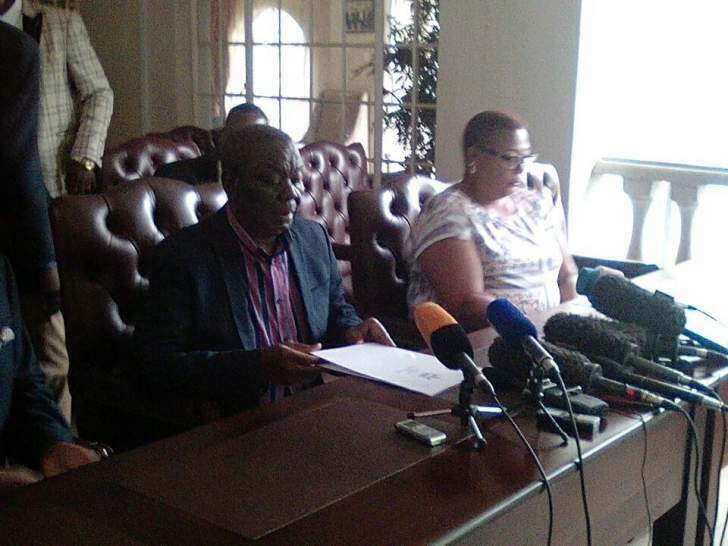 Tsvangirai says he will take part in any talks for a transitional process if approached. He suggests he has not been involved yet.